New members are always welcome to join our friendly and informal Craft Hub and Storytelling sessions at Jacobs Wells. 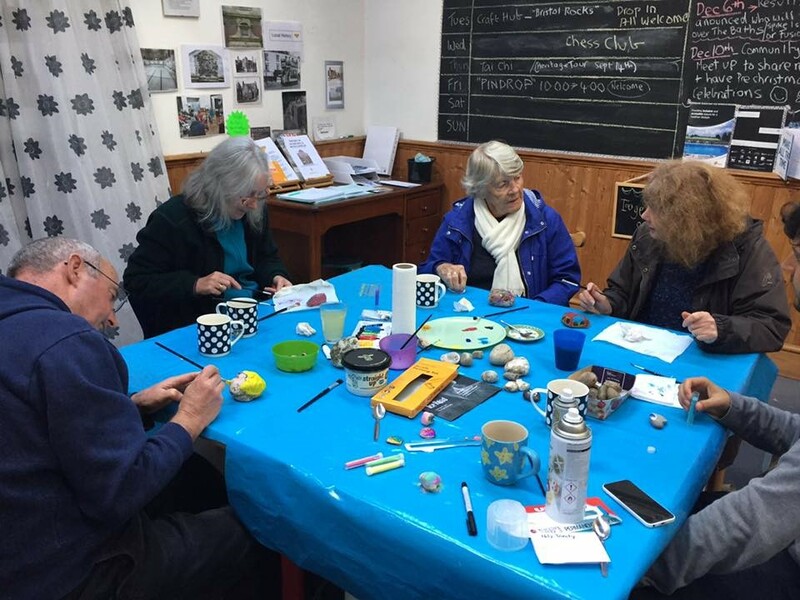 The Craft Hub meets every Tuesday, 11am – 1pm in the Hub Space at Jacobs Wells Baths, Jacobs Wells Road, BS8 1DZ. No experience necessary and we share skills, relax and chat. Currently we are enjoying drop in sessions for which we pay £2 to cover hot drinks and materials (of which we have plenty in stock). Bring along something you want to mend or make, do a drawing, or just have a natter and cup of tea. Group projects happen often and we have recently finished a local history banner which is on display at The Create Centre. We have tried many skills from woodwork to sketching and are open to your input. Come and see us. Contact judyjwrhub@gmail.com. Further details on the Jacobs Wells Community Hub website. Another regular fixture in our Hub Space is our monthly free Storytelling Sessions on Friday evenings, from 6pm – 8 p.m. The next session will take place on Friday 15th February. Bring nibbles to share if you can. Tea and coffee provided. You are welcome to do a turn, poem, story, piece of music or just come to chat. A good laugh is the top priority. Further info from 0778 065 4036, details and dates can also be found on our website . Jacobs Wells Community Hub is a member of LinkAge Network.